"A custom variation of the Winchester 1300 shotgun mounted with the stock, pistol grip, and Picatinny rail of M4. TPS is an abbreviation for Tactical Police Shotgun." 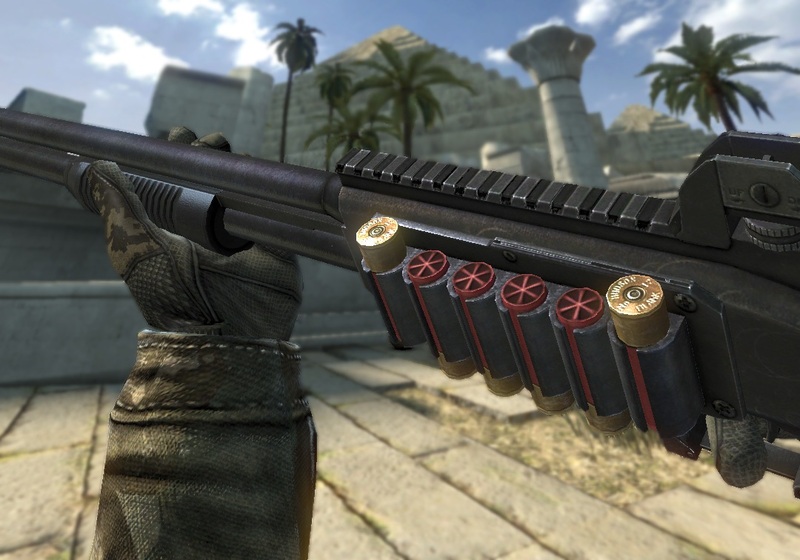 The FN TPS is a Shotgun first introduced during the 03-10-11 Content Update. 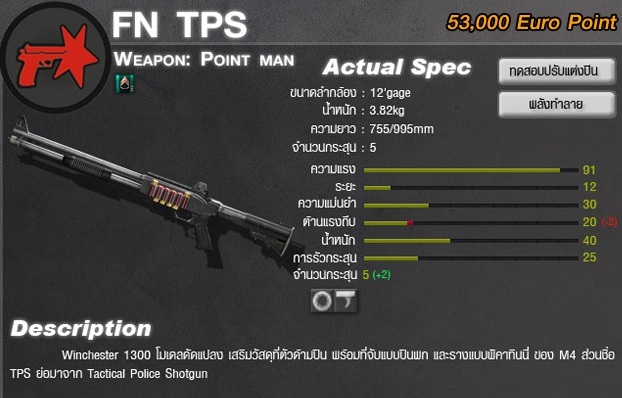 The FN TPS is a pump-action shotgun that features higher damage, range, and stability than the M1014, but with the cost of a lower rate of fire and magazine size. However, the magazine size can be quickly remedied with the magazine replacement trigger modification. 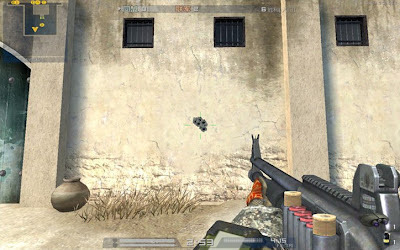 This gun has a high potential of "Trolling" Zombies in infection mode, because its raw power literally forces them back.